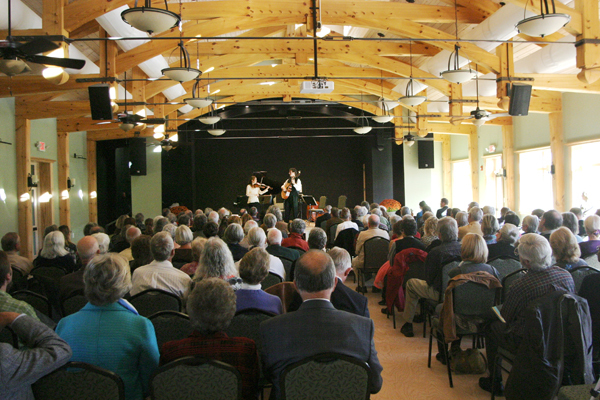 The Inaugural Concert of Virginia’s Blue Ridge Music Festival — held in Celebration Hall, Floyd EcoVillage, on October 21, 2012 — was a wonderful success! 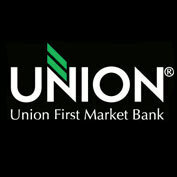 The program featured classical, Celtic, and jazz with members of the Roanoke Symphony Orchestra. 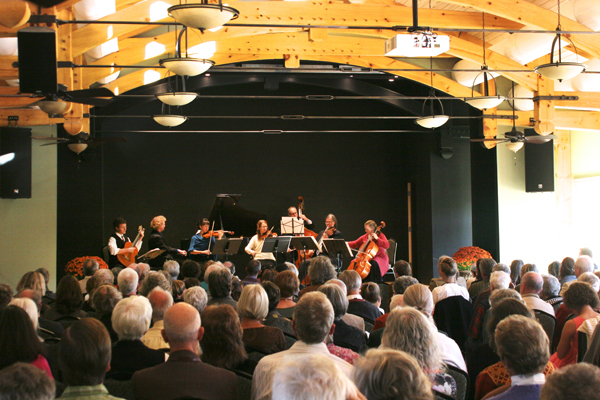 David Stewart Wiley conducted the chamber orchestra and also performed at the piano. 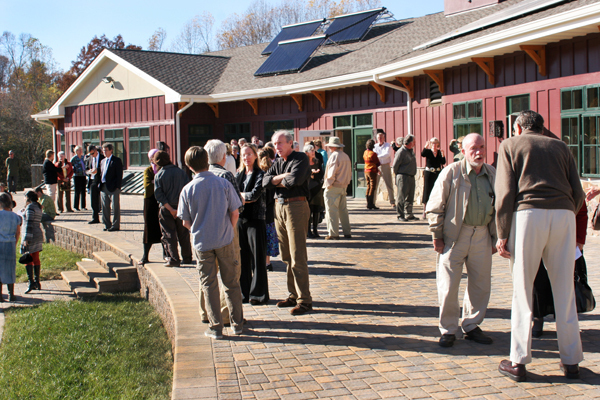 The afternoon was a great way to christen the new Celebration Hall at Floyd EcoVillage and begin our countdown to the 2013 Festival. Thanks to Brad Wurstler for the excellent photos and to Colleen Redman for the terrific article in our local Floyd Press, where the program is described in more detail. 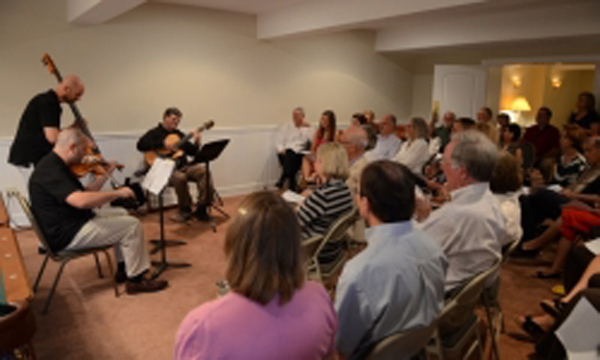 During the Summer of 2012, Virginia’s Blue Ridge Music Festival hosted a number of well-attended House Concerts throughout Floyd County and the New River Valley. These intimate gatherings gave both host and guests an up close and personal musical experience — with time for fellowship and refreshment alongside the performers. 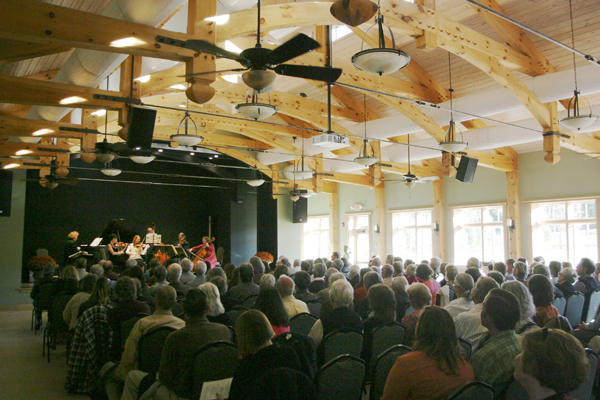 On October 14, 2012, Virginia’s Blue Ridge Music Festival hosted a Youth Concert in Floyd, VA to raise scholarship money for the Festival Academy. 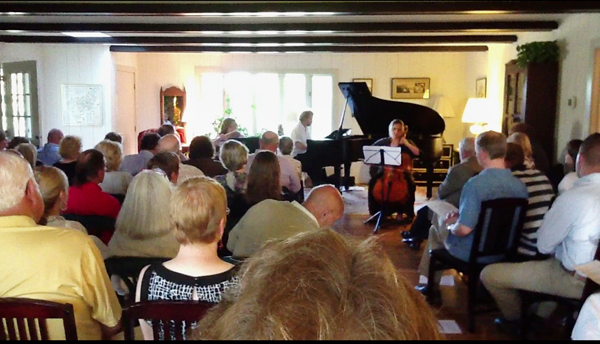 Many talented young musicians from the area (perhaps future Fellows) performed to a wonderful audience, raising awareness and funds for next year’s Festival Academy, which will include approximately 30 Fellows working and studying with professional mentors in our beautiful Floyd, VA.